The 1936 movie A Star Is Born has already had two remakes (featuring Judy Garland and Barbra Streisand), and for several years another one has been in the works. 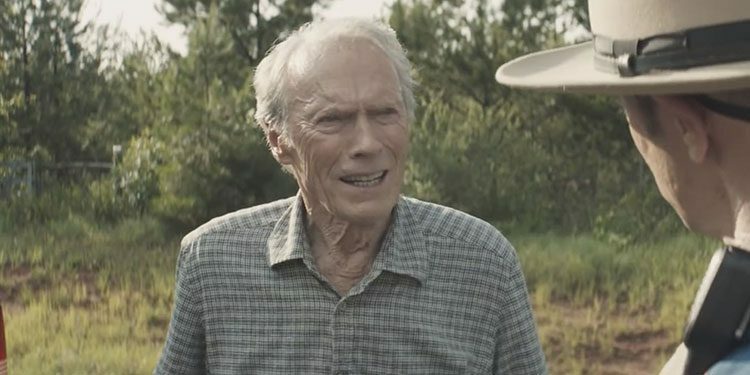 At one point Clint Eastwood was directing with Beyonce slated for the central role. When that fell through, Bradley Cooper stepped in to both act in the movie and to make it his feature directorial debut, with Lady Gaga signed up to show off her acting skills. 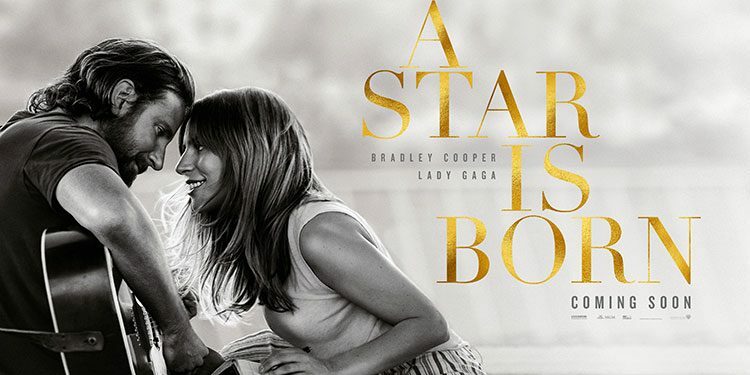 Here’s the synopsis: ‘“A Star is Born” stars four-time Oscar nominee Bradley Cooper (“American Sniper,” “American Hustle,” “Silver Linings Playbook”) and multiple award-winning, Oscar-nominated music superstar Lady Gaga, in her first leading role in a major motion picture. Cooper helms the drama, marking his directorial debut. 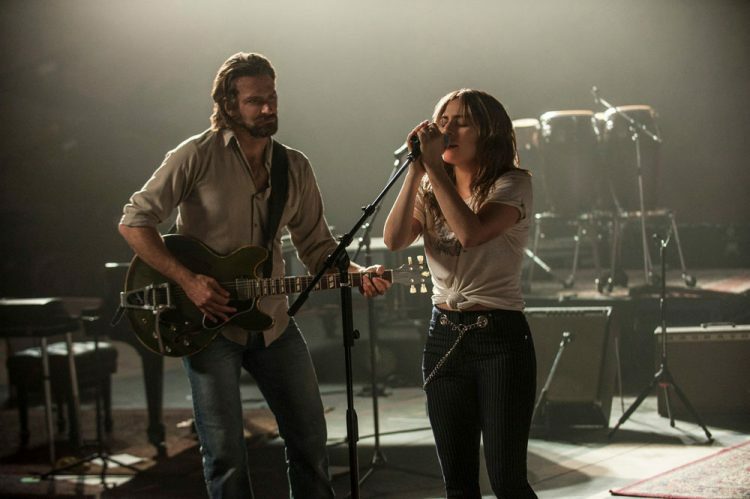 ‘In this new take on the tragic love story, he plays seasoned musician Jackson Maine, who discovers—and falls in love with—struggling artist Ally (Gaga). She has just about given up on her dream to make it big as a singer… until Jack coaxes her into the spotlight. But even as Ally’s career takes off, the personal side of their relationship is breaking down, as Jack fights an ongoing battle with his own internal demons. ‘The cast of “A Star is Born” also includes Andrew Dice Clay, with Dave Chappelle and Sam Elliott. With a quick glance at the pic above, you might be thinking the title of this post is a lie. But while she looks a little different to the often outlandish and poised pop star she normally is, that is indeed Lady Gaga with Bradley Cooper in the pic above. However, it looks like she’ll be going by her real name, Stefani Germanotta, for the movie. Warner Brothers describes the movie as a reimagining of the classic A Star Is Born, which has come to the screen three times before, in 1937 with Janet Gaynor and Fredric March, in 1950 with Judy Garland and James Mason and in 1976 with Barbra Streisand and Kris Kristofferson. In this version Bradley Cooper will be country music star Jackson Maine, who’s career is on the skids. He discovers Ally (Germanotta) and helps her find huge success. While they begin to fall for one another, things become increasingly difficult as his career fails while hers goes through the roof. As well as starring, the film will also mark Bradley Cooper’s feature directorial debut. Don’t expect to see the movie for a while though, as it’s not currently due out until September 2018. It’s likely the first pic was released due to the fact that Gaga has been onstage at Coachella filming the movie in the last few days. 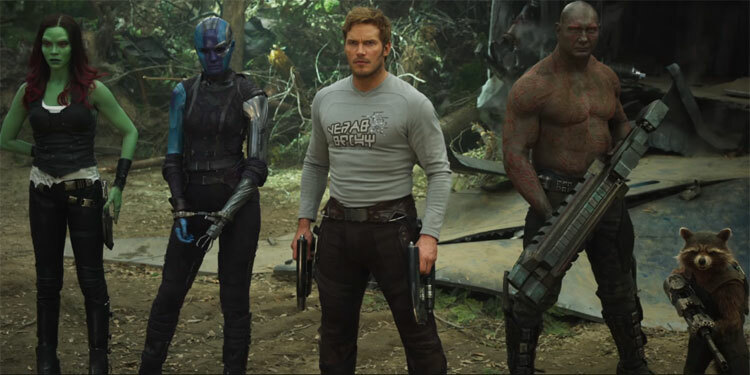 Although we’ve had a couple of promos for the excellent looking Guardians of the Galaxy Vol. 2, one thing we haven’t seen is Kurt Russell as Star Lord’s father, Ego the Living Planet. That’s now been remedied with a new trailer – although you have to wait until the very end to see him. Oddly, he does look like he really could be Chris Pratt’s dad. 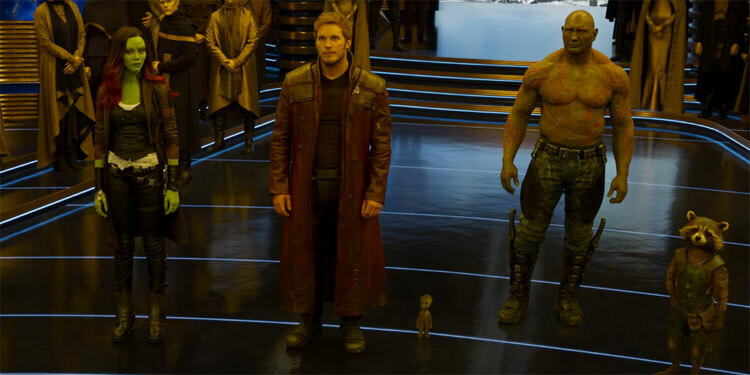 Guardians Of The Galaxy certainly wasn’t lacking in action, but it appears that they may be upping the stakes for Volume 2, as this new Extended Look is packed to the brim with sci-fi fighting, flying and general craziness. They may also be bidding for having the world’s cutest character with Baby Groot. Life isn’t going as well as young David Packouz (Miles Teller) hoped. He’s stuck offering massages to middle-aged businessmen and wishing for something better. Then his old, rather wild, friend Efraim (Jonah Hill) returns to Miami from LA and offers David an opportunity.